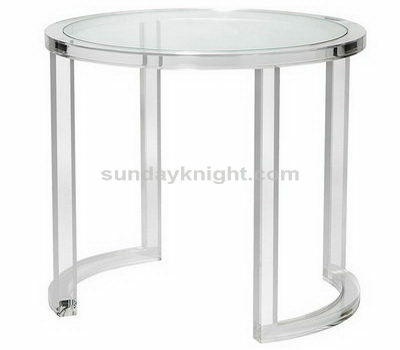 Acrylic furniture first appeared in the European development in the 1990s, to the 21st century acrylic furniture was developed by leaps and bounds, high-end hotels, villas can be seen in the home furnishings of acrylic furniture in the field of aesthetic interpretation of the classic. Since 1920, Germany Rohm & Haas (Rohm & Haas) produced the first piece of acrylic sheet, the application of acrylic is more and more widely acrylic furniture first appeared in Germany. In 1941, a German crafts designer in the design of jewelry when the sudden feeling, if the material can be as furniture that is certainly a perfect thing, so the design of a table using acrylic material design drawings, and in the three Days after the coffee table produced out, and he had expected the same appearance is perfect only the lack of structural design, thus acrylic furniture was born. Acrylic can also be used to make environmentally friendly buttons. Because of its high transmittance, make the buttons shine. At the same time because of its hardness is not fragile, so you can achieve the effect of long-term use. 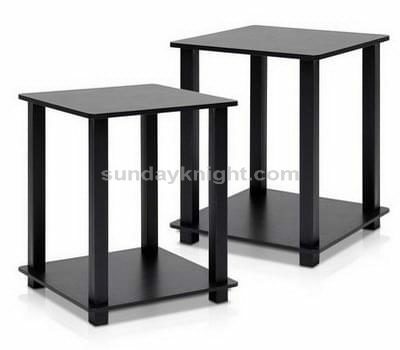 Most of the furniture on the market using wood materials, metal materials, glass and other materials made of traditional materials, furniture made of such materials are high cost, environmental protection, process complexity and other issues.